Martha Berry writes a letter to Mrs. Henry Whiting showing concern on the passing of her husband. Berry recalls when her mother passed away and writes about it in this letter. 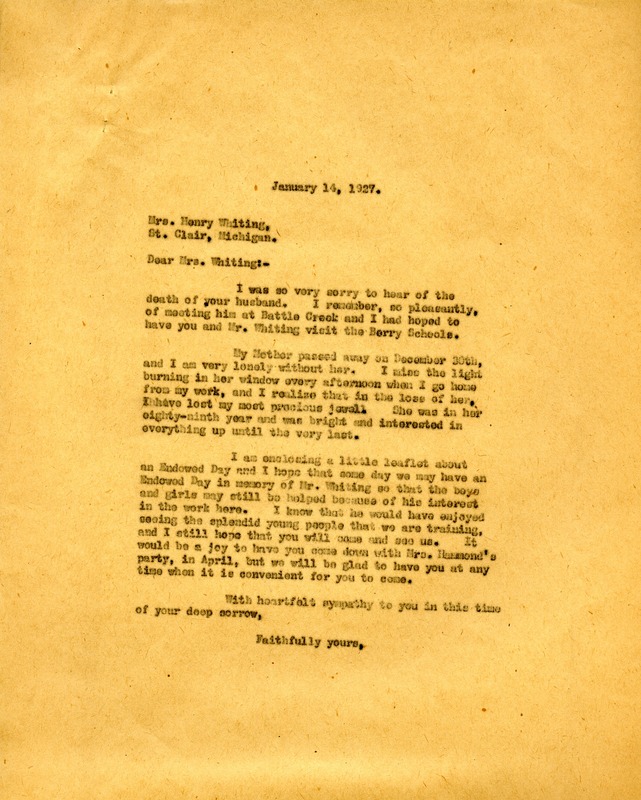 Martha Berry, “Letter to Mrs. Henry Whiting from Martha Berry.” Martha Berry Digital Archive. Eds. Schlitz, Stephanie A., Chelsea Risley, Austin Amandolia, et al. Mount Berry: Berry College, 2012. accessed April 22, 2019, https://mbda.berry.edu/items/show/6162.